Do you feel that your child is having difficulties reading, writing or spelling in class? Are they finding English/Literacy lessons frustrating? Does your child become anxious or upset In lessons? Are they reluctant to read? Put letters in the wrong order? Cannot remember times tables, alphabet, formulae etc. Your child may be Dyslexic or have other Literacy challenges. Dyslexia should be diagnosed by a Dyslexia Specialist teacher to be certain your child receives the correct support. It is a multisensory highly structured programme for teaching literacy to children and young people with Dyslexia and Literacy challenges. Conquering Literacy supports your child to reach their full potential and develop self confidence. 'Conquering literacy' is a complete multisensory teaching programme and one that echoes the spirit of recent government initiatives that purport to effectively deal with dyslexia ……. is considered by most, to be best practice in teaching literacy. I have been a teacher for 30+ years, the last twenty years spent teaching learners with Specific Learning 'differences'. I have had experience of teaching KS2 -KS5 learners in mainstream education and in specialised units for Looked After Children. I have a child centred approach to teaching, and learning. After discovering my son had Dyslexia I, decided study and train to help other learners with these challenges. As a Dyslexia specialist assessor I assess and diagnose Dyslexia, as well as supporting Dyslexic learners with the multisensory 'Conquering Literacy Programme'. I also conduct Cognitive assessments for Access arrangements and Disabled Student Allowance for students up to the age of 18 years. The assessment can either take place at either the student home or my home. If you are further afield, or prefer to be assessed at home, the Online Service is an excellent alternative if you require a Dyslexia Specialist Level 7 Assessor/tutor. After a school life filled with 'Dyslexia' type struggles, in his GCSE year at school my son asked for extra support for his English studies. 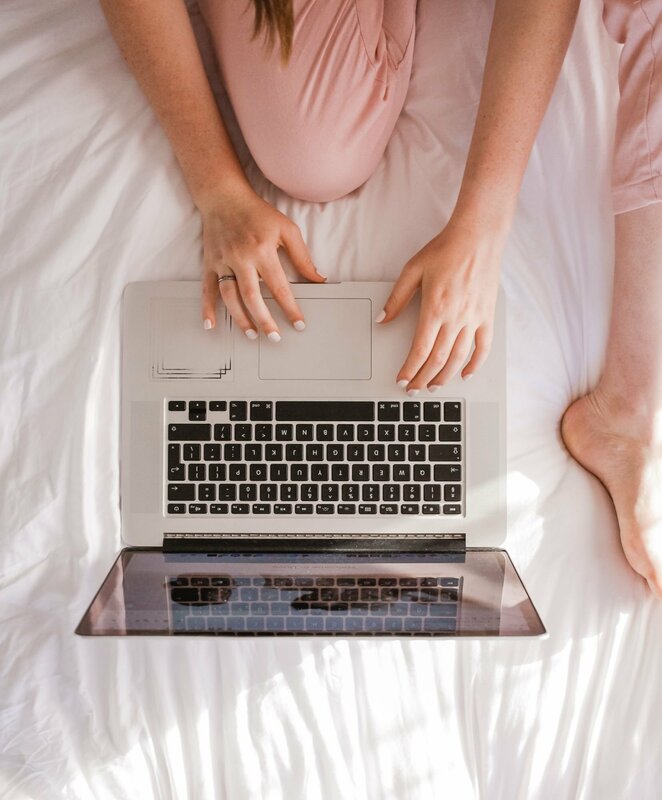 After being frustrated by a tutor website which prioritised demanding money ahead of ensuring a good fit, a personal recommendation came up with Karen Barber. We were on the skids, with just 3 months to go until the GCSE exams. Karen's background is in turning around kids that have lost their way in mainstream education, she is no nonsense and disciplined, she comes with an innate ability to suss out personality, form a strategy to ensure goals are set and then achieved. Karen has a good sense of humour which adds an element of fun too. My son needed help getting answers down on paper and Karen provided an insight into the tricks and tips in order to maximise his exam success. 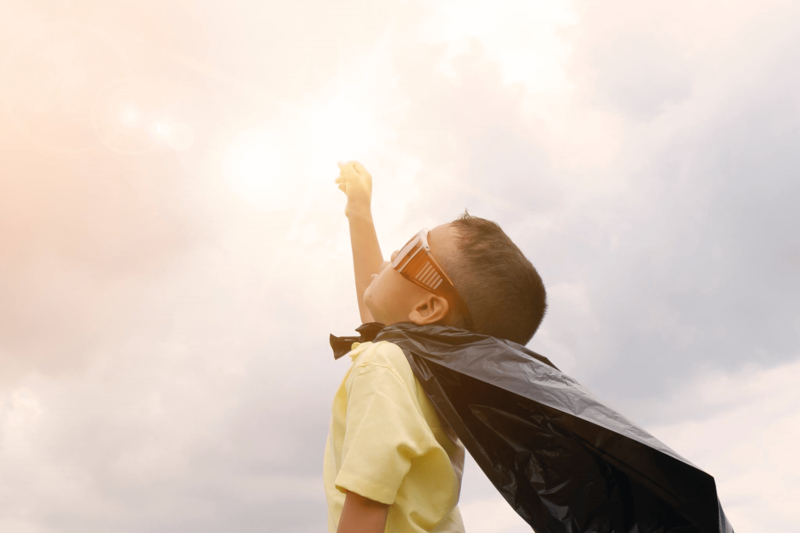 Under Karen's guidance there was a perceptible growth in educational confidence in my son, a real unlocking of potential visible as exam time approached. I'm so happy to report good passes in both English exams, we are very grateful to Karen for the part she played in providing this help and support. My daughter had a very difficult year at school last year, she began to really struggle with her work, which sadly impacted on her self esteem. Things were not quite adding up, so we arranged an assessment for dyslexia. 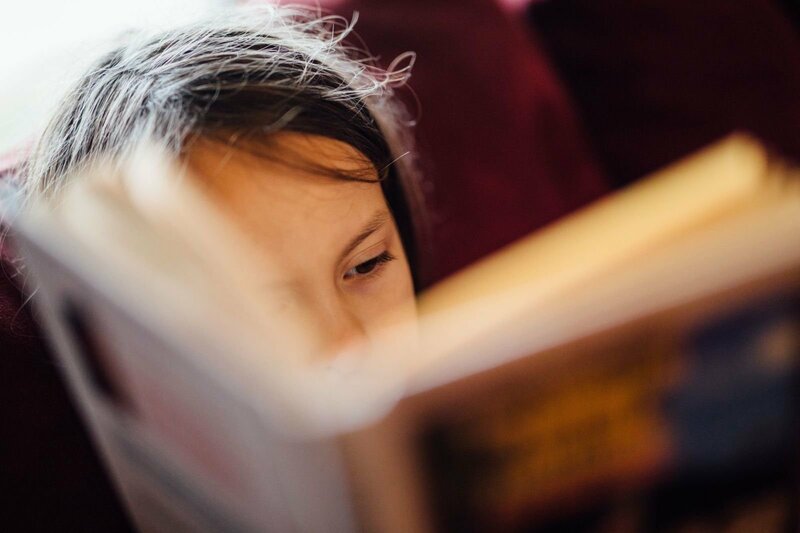 It turned out that my daughter had dyslexia which helped to explain why she had been struggling so much; it was also came as a relief because my daughter was no longer labelled as not trying, which was one of the most upsetting things to experience. We found Karen on the BDA website and almost immediately Karen’s input had a positive impact on my daughters learning and self esteem, which was amazing to see. My daughter connected straight away with Karen and regularly told me that Karen’s teaching was really helping her. I highly recommend Karen to any parent looking for a tutor to support a child with dyslexia. Karen is professional, disciplined and at the same time extremely supportive and encouraging. Karen has transformed how my daughter learns, which is a lifelong skill, it’s amazing to see and I can’t thank her enough. A Cognitive assessment to qualify for extra time, a scribe or a reader in GCSE/ SATS exams. Online assessment in your own home now available. To book a no obligation, 15 minute phone or Skype consultation, to discuss your child needs please leave your name, email address and phone number below. Its been a busy week for me. I had a pre-Easter family get together last weekend, the Dyslexia Manchester website needed some updating and students to prep for and teach. As a follow up to Dyslexia and Dyscalculia it time to look at other SpLD. - Specific Learning Differences. I'm sure many teachers of SpLD learners will agree that they have a different way of viewing the world and interpreting it. "The term 'Specific Learning Difficulty' (SpLD) is a term that refers to a difference or difficulty with particular aspects of learning. The most common SpLDs are dyslexia, dyspraxia, attention deficit-hyperactivity disorder, dyscalculia and dysgraphia." Simply, Dyslexia is where learners have Literacy challenges, Dyscalculia Mathematical challenges, Dyspraxia fine and/ or gross motor skills challenges which is likely to cause handwriting or dysgraphia issues and ADHD concentration difficulties. SpLD often occur together or are co-morbid. This can present the child with a number of confusing and sometimes conflicting learning situations. Adults need to handle learners with SpLD with sensitivity. They not only have these to manage but also the judgement of their peers. Assessment by a specialist teacher can identify a child's challenges and target the correct intervention and support for these learners. You really can't help but admire the tenacious attitude of these learners but they really need the right support before that too wears thin. SpLD rarely occur one difference at a time. A combination of these SpLD will affect a child's learning to a lesser or greater degree. 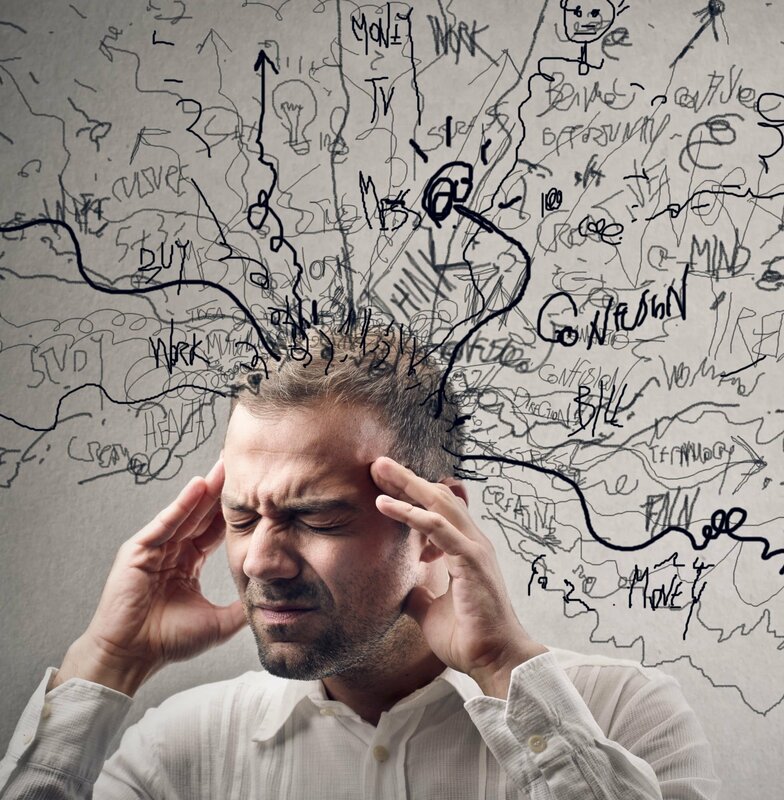 Dyslexia is one of the more well known SpLD, people seem sort of familiar and perhaps a little comfortable with Dyslexia. Its been around for quite a while but not recognised until recently as a learning 'difficulty'. When I was at school, children who couldn't read well were considered 'behind' or 'slow'. It's good to know times have moved on and we now realise that these children are neither but require more time and good specialist teaching. Dyslexia seems to be understood better - maybe this is because famous successful people, Steven Spielberg, Richard Branson and Tom Cruise to name a few are 'coming out ' as Dyslexic. Dyscalculia research isn't quite so far in its recognition journey . It's often referred to a ' like Dyslexia but with numbers,' which to most people is sufficient description. There are challenges in common with Dyslexia and of course EVERY child is different so their combination will be individual to that child. And children develop different strategies for themselves to cope with their learning style. It's not a case of one size fits all!! As with Dyslexia a specialist Dyscalculia assessor will be able to pin point your child's differences. There are screeners online which may signpost Dyscalculia difficulties but a thorough individualised assessment will be invaluable. This blog is something very close to my heart. As a teacher I have always thought it vital to support a child's self confidence and self esteem. Sadly these tend to be in short supply for the Dyslexic learner. Many Dyslexic learners lack self confidence and have low self esteem because they feel like they fail every day. School may not be a happy place for them... but in fact Dyslexia can be your child's Superpower. This week I was meeting with some new parents and their son to discuss a possible diagnostic assessment and 1:1 sessions. It's really great to meet with parents who are concerned about their child's progress and are keen to get that extra help. We started talking about school, homework, favourite subjects and hobbies. John (not his real name) felt he was good with computers but was 'rubbish at other stuff' because of his Dyslexia. I went on to tell him that his brain is just as smart as anyone else's except it was just, wired differently. It is a difference not a difficulty and so we need to find his strengths and use those to support his challenges. A way of supporting your child is to notice what they are good at whether that is building flat packs without the instructions, being able to draw, making great flapjacks.... whatever skills they have, acknowledge them and help to develop them to support their challenges. Playing board games can also can also help to reinforce some of the more tedious aspects of learning to read, write or punctuate. Take a look at the Dyslexia Shop for some ideas. Hey! some of the wealthiest and famous people in the world are Dyslexic..... Richard Branson, Jamie Oliver, Orlando Bloom to start the ball rolling. Dyslexic students tend to be creative learners who think outside the box. They can have amazing talents In one particular field such as drama, photography , cooking or Art. They see the world differently from other children/ adults. When talking to the parents of my students they have expressed their frustration with "the system". What they continue to tell me about is how they feel that their child's challenges are not really understood. ...… especially in a class of 30. Statistically, there could be 3 dyslexia learners in that class and possibly 9 other children that have Literacy challenges. That is a lot of supporting and with teachers workloads and expectations from the school management/ Governors/parents/ Ofsted etc etc they are under pressure. Dyslexic learners learn in a different way, they have different learning styles and they have different needs than students who are not dyslexic. The British Dyslexia Association offer schools an opportunity to qualify for their Dyslexia Friendly Quality mark and in an ideal world, all school would hold this accolade. Dyslexia friendly schools are able to respond to the challenges encountered by the dyslexic learner. They can support their students as they understand and work with their diverse learning needs. Teachers are supported by the school procedures and systems. Dyslexia friendly schools recognise that teaching staff, as individuals, are key to the success of students overcoming their difficulties. But it is not an ideal world so what you can do to support your child? If you are concerned about your child's progress, discuss your concerns with the school SENCo as they should be able to organise support. They may also recommend a cognitive assessment to be carried out with a Dyslexia diagnostic assessment. This will hopefully help you access the support to develop your child's learning style. So.…... as a parent you sort know something isn't right with your child when looking at Literacy/ reading/ spelling/ writing etc. Your first point of contact will more than likely be your child's school. As a parent that's would I would have done when my children were school age. Dyslexia support is a specialism. Dyslexia is a complex condition. Sometimes teachers will refer a child to the local authority educational psychologist for assessment. In my 38 years of experience the Ed psych will give a diagnosis but offer no classroom strategies / support solutions. Despite dyslexia and dyslexia type difficulties being diagnosed there seems to be very few strategies offered to classroom teachers. For children with Dyslexia IT IS ESSENTIAL that they receive support to develop strategies to learn effectively and for them to achieve their full potential. Specialist organisations such as The British Dyslexia Association and Patoss( Professional Association of Teachers of Students with Specific learning difficulties), have a multitude of online resources to support parents and learners. They also have lists of experienced, qualified tutors and Assessors to support your child. Take a look! Before I embarked on the Post Graduate Specific learning Difficulties (SpLD) course at Manchester Metropolitan University, I'd often realise a child was struggling with Literacy issues, possibly Dyslexia, but I didn't have the skills to implement a programme to fully support them because I didn't have the training. Since following the two year course I now feel confident to support these learners. The diagnosis can be time consuming but the longer it takes, the more your child can losing ground compared to the rest of the class. If your child is assessed as Dyslexic, engage with a specialist tutor. Just enter Dyslexia support into Google. These can certainly help you as a parent , to support your child. Welcome to the first "A Parents guide. "....series of blogs. Much of this blog is about what it feels like to be Dyslexic. This is anecdotal as I am not a Dyslexic learner. Some of the effects for the learner are physical and/ or emotional. is a greneral trem for disordesr that involve dificcultly in leanring to read or intrepet wross, leteers, and othr syombols, but that do not faceect genral inteillgence. Following the curriculum in school can be challenging enough without further challenges!! Dyslexia is a sliding scale , not black and white.... there are degrees of how much Dyslexia affects a child and this is as individual as the child themselves. . It can be mild to severe and naturally this defines how much support your child will need. DYSLEXIA IS COMPLEX AND INDIVIDUAL TO EACH CHILD. Reading, spelling and writing progress will be affected and this can impact on your child's emotional well being. They could experience embarrassment as other children in their class understand new topics which seem baffling to them. They may have low self esteem, lack confidence, feel anxious, and lack hope through a history of failure. They may be reluctant to go to school, feel frustrated which if unaddressed can result in withdrawal from education generally or behaviour issues. You may ask yourself " How can I help my child?" This will be the next topic in the series A parents guide to...….? A parents guide to - ...? a new series of blogs. Apologies for this bi weekly blog being a little late. In my next series of blogs I'm presenting "A parents guide to...….."
Having spoken with the parents of my students, there are number of common questions which keep cropping up so what better platform than to explore them here. Educationalists/ teachers are usually very quick to diagnose Dyslexia as the villain of the peace.
" well he gets his letters mixed up.... especially 'b' and 'd. He must be Dyslexic'"
"her spelling is terrible. It's probably Dyslexia"
"He/ she is underachieving in class. The vocabulary is fine but when it comes to writing there are difficulties. It's probably Dyslexia." but Dyslexia is hard to pin down. The diagnosis may require four or more assessments conducted by a Specialist Assessor or an Educational Psychologist, as they are the only professionals qualified to do this. 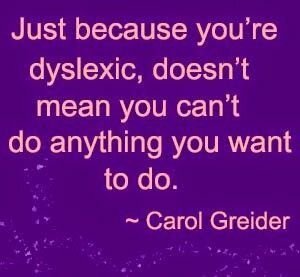 In my teaching career I had a number of students diagnosed with Dyslexia. I would ask "How can we support this child in the classroom?" The answer was a shrug of the shoulders. Not very helpful for me or the student. The experience for the child...….your child ……. is confidence sapping, anxiety and feeling worthless. Which is why I decided to follow an SpLD course at Manchester Metropolitan University and get some answers. I'm going to share the those answers and some of my experiences that I have had in my teaching career with you. And please share experiences and questions of your own in the comments box below. As a starter I thought I'd share this link with you. This is what a dyslexic child could be experiencing. As a professional member for the British Dyslexia Association I regularly receive updates from them on my Facebook site. This one really caught my attention and I thought that I would share it with you all. leave the comfort of your own home.... its a webinar. You can book your eticket on the BDA website, link is below, for £5 and take it from there. Dyslexia really benefit from a more positive attitude to their "difference". sorry to say by some teachers. Yes schools are constrained by limited budgets and money is spread thin. But all children whatever their learning needs and learning styles only get one chance at their education. I have been a teacher for longer than I care to remember. I have taught in mainstream schools, sixth form college and for half of my career, teaching Looked After children. I am relatively new to teaching children with Literacy difficulties / Dyslexia, but decided it was for me after completing a part time Post Graduate diploma SpLD course. Having talked to the parents of my students, a major source of concern for me is how children diagnosed or not, with Specific Learning Differences( Difficulties) are supported in school. I know, because I watch the news and surf the net, school budgets are very restricted. One school was reported not to have enough money for toilet rolls, another school hadn't enough money to pay ancillary staff. I get the feeling that there is not enough time or resources to help children who learn differently. Children with SpLD / SEN needs require trained staff to support them...… more than just another 15 minutes reading practice once a week. Children with Dyslexia, Dyspraxia or dyscalculia need trained staff to give them the strategies they need to reach their full potential. The British Dyslexia Association and Patoss have lists of specialist dyslexia tutors who can help children with these differences. They have the expertise and training to identify challenges and strengths of each child to not only support their learning but also to develop their self confidence. This is a day late but there is a reason for this ………... I promise. 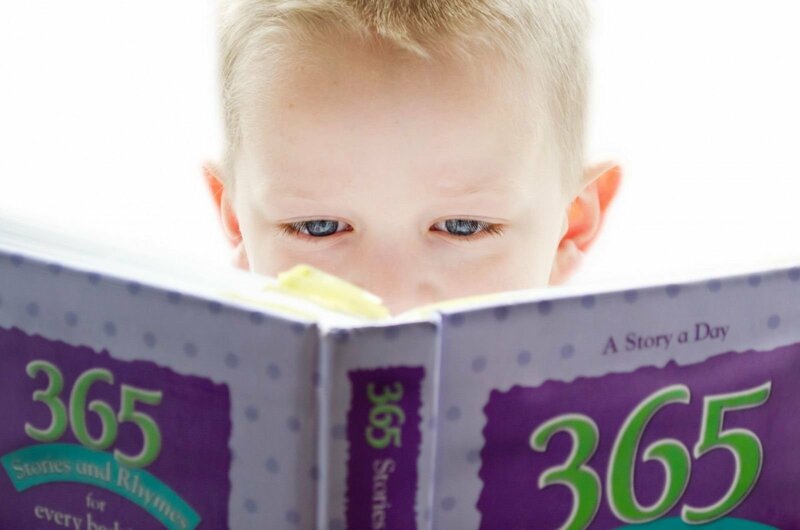 Since I have been offering Dyslexia diagnoses in Manchester, parents have been telling me that specialist dyslexia assessors are difficult to find and are often quite a distance from where they live. Assessments are stressful enough for children without a long journey being factored in. 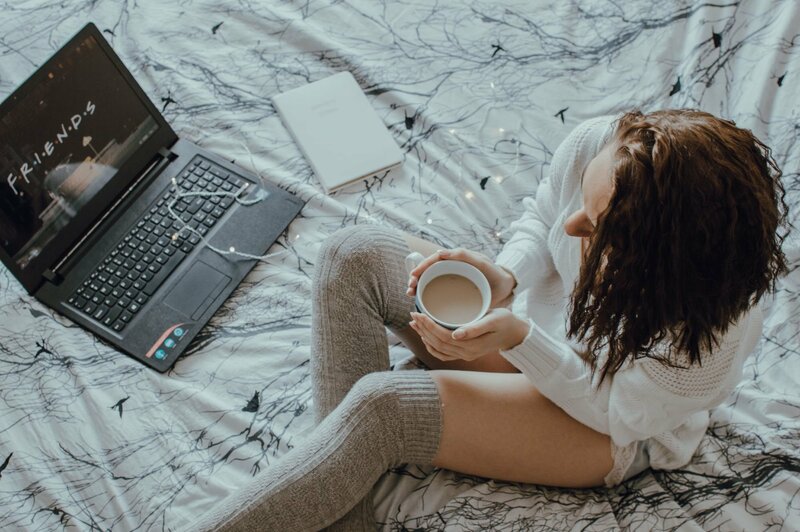 I have been working on offering Dyslexia diagnostic assessments and tuition sessions online..... hence the delay in today's blog. They can be broken down into individual tests rather than completing them in one sitting, which would be much better for the students. Hopefully this will give a true reflection of the child's skills and ability. They are taking place in their own home which could reduce anxiety. Lessons can be recorded which will allow students to review what they have learned. I intend to have follow up tuition sessions, also to be available online. assessors or tutors are available. An online service would seem to be the way forward. being able to have a 1:1 working relationship with the student. As promised last week today I'm going to take a look at 'What is Dyslexia?' This is an overview and if you feel your child may be Dyslexic, where to go to get the support that will help you at what can be a bewildering time. My son was diagnosed with Dyslexia when he was nineteen. Labelled as a 'lazy boy' throughout his school life he was diagnosed at college. Moderately dyslexic, he managed to develop strategies to deal with the ordeal he knew a 'school'. “Dyslexia is a learning difficulty (or difference) that primarily affects the skills involved in accurate and fluent word reading and spelling. • Dyslexia occurs across a range of intellectual ability. Dyslexia is a complex Specific learning Difficulty (Difference) I really think that 'difficulty' makes Dyslexia seem like a problem. Dyslexic students have many skills and qualities which I would like to explore in a future blog. Dyslexia is not black and white but a whole range of shades of grey. Every child has different strengths and challenges. For this reason it is important to get a specialist assessors diagnosis. This discovers the nature of your child's skills and importantly their learning style. This enables a programme to be devised to exploit those qualities. Although each Dyslexic child is very unique with unique skills, they also have similarities as Dyslexia can make them feel different from their peers, and less valued. A good Dyslexia tutor can turn that around. Where you can find a qualified Dyslexia tutor or find a Dyslexia Assessor? They have a tutor list on their website. An AMBDA can assess, diagnose and tutor a Dyslexic student. Patoss also has a tutor list on their website. Tutors holding an APC can assess, diagnose and tutor a Dyslexic student. Please enter any questions or comments in the comments box. Welcome to the second Dyslexia Manchester blog. I was going to write about What is dyslexia ? What people think it is? and how Dyslexia and affect your child. But I saw this interesting poem while I was surfing the net and thought I share it with you. 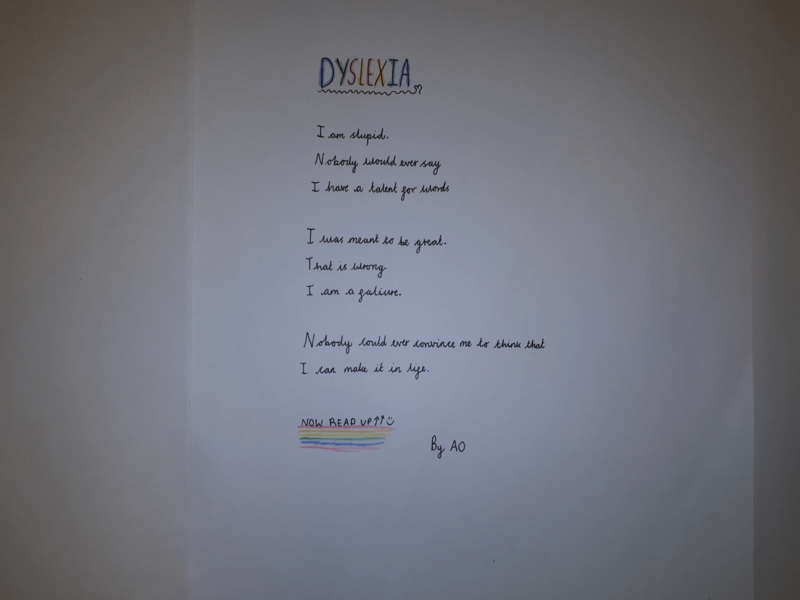 A poem written by a 10-year-old has warmed hearts online for its poignant double meaning and insight into the treatment of people with dyslexia. Teacher Jane Broadis shared the verse, known as a palindrome for having different interpretations depending on which way it is read, on Twitter on Wednesday night and it has been liked more than 100,000 times since. Sharing a picture of the poem, she wrote: “Today in Y6 we looked at poems that could be read forwards & backwards. I was stunned by this one written by one of my 10 year olds. “I was meant to be great. Reading this made me realise this is why I do this .. supporting students with Dyslexia and Literacy challenges. I promise I will post on Monday about " What is dyslexia?" Please leave responses or comments in the comments box. Have a good weekend - see you Monday.